I completely understand why our company should go "paperless", but why does it have to be so complicated? There are so many products with so many features out there today and that makes it tough to figure out WHAT we really need and HOW MUCH it will really cost. I know an imaging solution can help increase our efficiency and improve our customer service, but I just don't have the time to become an expert. Sometimes I think it's just as easy to live with our paper than to research and choose a solution that is suitable for our company's needs. It's true that the growing number of companies going paperless has been a boon for the "Content Management" industry. There are more vendor options than ever, many with compelling features. The most important thing to remember is that your primary focus should be on your company requirements and your first step is determining what those requirements are. "Seven Tips to Selecting a Document Imaging Solution" is a step-by-step roadmap to help you get organized before you start shopping for solutions. Following each tip are questions to help frame the project scope and lead you to make the best possible decision. These seven tips are easy enough to follow and cost nothing to implement. With this whitepaper, you don't have to be a Certified Document Image Architect to take on your paper challenges! This entry was posted in Informational on February 21, 2013 by debram. Tip 5: Taking advantage of new Management features. √ Security enables you to control who (individuals, groups or workstations) can access what (systems, index values or document types) and which functions (annotations, notes or caching for example) are permitted. √ Disaster Recovery capabilities are immediately improved. Daily backup of digital files is now a routine task and High Availability planning can incorporate all of your business content. √ Tracking Reports. Audits log actions taken by all individuals for each document in the system. Statistics provide counts of how many work items are in the system. √ Compliance with government regulations or internal mandates consumes an enormous amount of company resources. Document imaging can simplify these efforts and significantly reduce the labor involved. √ Purging automates the process of removing documents past their expiration and retention dates. √ Workflow allows rules and logic to be established to define how work is processed. It can be as simple as routing items between workbaskets for approval or more sophisticated such as package tracking, callback reminders, priority and reason codes, overdue limits, signature stamping, etc. An image system provides an opportunity to rethink your current work processes and make changes that can help manage your business more effectively. While you don’t have to know the details up-front (that will be part of the design review), you should have a good idea of which departments are candidates for some of these advanced capabilities. There is quite a bit of variability in functionality so understand what is included with the base products you are evaluating and what will cost extra. Next week: Tip 6: You are choosing a Partner not just a vendor! This entry was posted in Informational on February 17, 2013 by debram. Is Poor Access to Information Hurting Your Business? RVI can provide a low cost solution to allow your employees 24/7 access to the information they need when the need it – in the office or offsite. The RVI solution will help eliminate the paper document that creates the problem getting immediate access to business information. RVI Express is an affordable document management solution that can be used as a startup solution. The price for the RVI Express solution is $12,000. That enables up to 10 concurrent users to access information in the digital filing system at the same time. As the number of users grows you can easily upgrade the RVI Express solution to an unlimited user license. You get full credit for your initial investment and only pay a differential fee for the upgrade. Employees who work remotely should have the same accesses to documents/reports that your office based employees have. The RVI Express solution is internet enabled so remote employees can access the documents/reports immediately usingWi-Fi, 3G or 4G devices like smartphone, tablet devices or laptop PC’s. RVI Express also provides direct integration with your key line-of-business that enable the users to retrieve documents and reports directly from the application software (ERP, CRM, etc.). The documents they need are available in seconds and they can route, email, fax or print them to other employees, customers, partners or vendors. If poor access to information is hurting your business then the RVI Express solution will provide immediate access to the most current business information. This solution will make your employees more productive and dramatically improve your level of service to your customers and partners. For more information on the RVI Express solution, give us a call, we'll be glad to answer any questions you may have! Until recently, the decision to encrypt images and/or data has been a choice made by IT Managers, Human Resource Managers, customer service managers, security professionals, et al. More times than not, that decision had to be made based on the risk of the images and/or data being compromised, the cost of encryption (hardware and/or software), processing overhead, the unwieldiness of the encryption process, and the possibility that the encryption/decryption keys could be lost or stolen. The latter risk of losing the keys to decrypt the information would likely result in the images and/or data being lost or inaccessible. These collective risks would usually result in a decision against encryption. However, criminal acts such as stolen identities, the hacking of credit card databases, etc. have forced lawmakers and corporate entities to rethink the idea of encryption. Legislation requiring encryption of stored information, coupled with the sheer necessity of protecting private information and resources, has led the IT world into an entirely new realm of security measures, whether information is stored on traditional storage media (internal disk drives) or on portable devices (external storage appliances). With the proliferation of low cost external storage appliances, the exposure of data is of concern, particularly when the data on the storage device is accessible to the internet or local networks that are in turn accessible from the internet. In order to meet the requirements of encrypting image and report files that are stored on external media and/or storage appliances, RVI has developed an optional encryption/decryption system based on IBM’s encryption and decryption Application Programming Interfaces (API). The API’s use the 256-bit Advanced Encryption Standard (AES). AES is a commonly used encryption and decryption standard used by federal agencies of the United States government, the Department of Defense, and many companies in the private sector. This encryption and decryption standard is approved by the Federal Information Processing Standards Publication 197 (FIPS 197) by the United States Department of Commerce. The RVI Encryption and Decryption System encrypts image and spool data as it is moved to storage (the RVI “burn” process). When capturing spool reports, there is an optional post-capture program that can be deployed that will automatically encrypt and burn the spool data to storage. Then, when the images or spool data is retrieved for viewing or other processing, the data is decrypted. In addition to the encryption and decryption of image and spool data, there are RVI API’s for encrypting and decrypting strings of data. These API’s are useful for the encryption of information included in web browsers Universal Resource Locators (URL). For example, you could email a link to your IBM i and encrypt information such as account numbers or other identifying information. Your HTTP server software can then take that URL and decrypt the encrypted part of the URL and then act on the information provided. The RVI Encryption and Decryption System does not encode and decode communications across networks, such as the communications that take place between web browsers and web servers. Communications encryption and decryption is better suited to a secure communications layers such as Hypertext Transport Protocol Secure (HTTPS). HTTP Strict Transport Security is recommended to be used in conjunction with HTTPS. IBM has a Software Technical Document (380575235) on configuring HTTPS with the IBM HTTP Server for IBM i and IBM WebSphere Application Server 6.0. This RVI feature requires an operating system of V5R4 or higher. It is recommended that your IBM i be at current cumulative PTF levels. This entry was posted in Informational and tagged document imaging software, enterprise content management, IBM i applications, ibm solution, New Software Features, RVI Complete System on February 16, 2013 by debram. Would you like to run your IBM i on the air max 270 femme web without actually putting it on the web? That’s where a Proxy Server comes into play. A Windows server becomes your “web presence” and is linked to your IBM i using a PHP program as a “go between” , keeping the IBM i removed from the web but having functionality as if it was directly connected. This functionality will allow you to run RVI’s web-based Image Inquiry and will display your IBM i pages to the web. RVI has recently developed the PHP program that will provide this connection. It requires PHP server code for your Windows Server which is open source. This entry was posted in Informational and tagged document imaging software, enterprise content management, IBM i applications, RVI Complete System on February 16, 2013 by debram. Tip 2: Start with the User’s Perspective. Once you have an initial understanding of how things work, the scarpe basket jordan next tip is to determine how content will be delivered to the users. The three most important design objectives should be: (1) to make it as easy as possible for users to access their content, (2) to deliver it in a user-friendly manner and (3) to make it appear as though the image software is just an extension of the user’s business application. An image system viewer should offer solid features with a simple look and feel scarpe basket jordan which allows users to view, print, fax or email their documents. It should also provide the flexibility to deliver documents as PDF’s as an alternative viewing option. √ With an Integrated approach, a user requests all related documents for a particular key field (e.g. customer, vendor or employee) from an application screen. A call is made to the image system which then presents the list of document “hits” for the user to take additional action. √ With a Simple Inquiry approach, authorized users can retrieve documents by searching on index values (such as invoice number, employee name, etc…). Multiple index search filters can typically be used making it even easier to locate specific documents. √ scarpe basket jordan With a Workbasket approach, users can distribute work items to one another or documents can be delivered automatically as part of an established workflow process. The imaging software should provide workflow capabilities that can track and monitor all workbasket activity. This entry was posted in Informational on February 14, 2013 by debram. Tip 4: Digital Content also needs Storage space. An enormous amount of air max 97 pas cher floor space (and off-site facilities) is wasted on retaining paper records which are seldom, if ever, accessed again. Not only does this clutter up the office, but this type of records storage is completely exposed to security breach and catastrophic loss due to fires, floods, earthquakes or other incidents. Retention requirements are dictated by compliance mandates and each document has its own unique lifecycle (frequency of access tends to decline as files age). Additionally, you will need to understand work volumes to do some air max 90 homme pas cher capacity planning. Your users will know how many transactions they process, but they typically don’t count how many documents they handle. One way to estimate your storage capacity needs is to count the number of file cabinets and drawers used for on-site storage as well as the number of records transport boxes sent to off-site retention facilities. An estimated page capacity for individual file drawers and record boxes can be converted to an overall document and page count which can then be used to identify your preliminary storage needs. Make sure the image system you select supports multiple storage options and doesn’t lock you into a proprietary technology format. Network storage devices seem to be the preferred option these days from a price or performance perspective. However, there are also many air max 90 homme pas cher good “Write Once Read Many” (WORM) options which permanently burn data to the media to ensure it does not get overwritten. Put some effort into capacity planning to develop an appropriate archive strategy. Storage technology will continue to evolve offering more, air max 90 homme pas cher better, faster and cheaper options. So regardless of what hardware you select, it will eventually become obsolete. Stick with solutions based on open standards which will likely be upward compatible when future hardware announcements are made. Next week: Tip 5: Taking advantage of new Management features. This entry was posted in Informational on February 11, 2013 by debram. Why Wait When You Can Start Now! The papers you see on your desk and in your file cabinets never seem to go away. In fact it seems to be increasing a little each year. Even the file cabinets are full and you may have to purchase more of them or incorporate offsite storage. Over the years you looked at document management as a proven business solution knowing it will modernize your organization, but have not moved forward for one reason or another. Now, years later, things are getting worse so maybe it is time to look at that document management project again. RVI has a budget conscious solution that's designed for every business to take advantage of. The RVI Express solution is a great startup solution that offers affordability and functionality...all for the low price of $12,000! An electronic filing cabinet solution that is very affordable and easy to work with. Capture documents by scanning paper documents and importing PC documents and reports. A report capture application that provides online access to print output from IBM i applications. Report distribution automatically distributes reports (or specific sections of a report) to specific users. Provides 24/7 access to documents and reports in the office or remotely via the internet. Access your documents from smart phones and tablet devices. Remote signature capture on Apple iPad, iPhone or iPod Touch devices. Improve your business processes using the RVI workflow functionality. All of these features are included in the RVI Express. You can start with this solution in any department as a pilot program with up to 10 concurrent users. Then, as you expand the solution to other departments, you get 100% credit for your initial software investment and only pay a differential license fee to upgrade to the RVI Complete solution with an unlimited user license. Let’s get started solving your paper problems, satisfy governmental regulations, provide for disaster recovery and improve your company’s overall productivity. This entry was posted in Informational on February 9, 2013 by debram. Tip 7: It's always about the Money! √ Beware of complicated pricing that is hard to understand. There is no shortage of “sneaky variable costs” that can get slipped in. User-based pricing, add-on modules, those secondary OEM components (like a capture system) “they” forgot to mention or additional license charges for High Availability systems are just a few examples. The more of these types of charges, the harder it becomes to plan your expansion costs and the greater your risk of yeezy pas cher busting the budget. √ Look for entry level options. Chances are your initial implementation may be limited to a small user department that doesn’t require every feature an imaging system has to offer. If you ask for everything up-front, a vendor will be more than willing to sell it to you in advance of your needs which may ultimately result in pricing yourself out of the project! Ask what start-up options are available which may be an exact fit for your initial requirements. √ Scale down your project scope. While it is important to understand enterprise needs, start with a manageable project that can deliver business value and validate the technology with your users. This will also help contain your start-up costs. Installation and training services are an important cost consideration but understand that you do not have a firm price quote until a final “Scope of Work” has been prepared. Clarifying scope is perhaps the single biggest thing you can do to influence and control the cost of your initial project regardless of what product is selected. √ Understand the benefits to be gained. More often than not, project costs are clearly defined but not success criteria. Remember there are two inputs to an ROI calculation; you can’t ignore the Return and consider only the Investment. Of course expenses matter, but so does understanding what it costs to operate the yeezy pas cher way you are today. There’s a good chance that money will not be spent on problems that are viewed as insignificant. Understanding the business value of document imaging for your company is an important step. If possible, identify some measurable areas that can validate results to confirm the justification of your project. Document imaging is really no different from other IT technologies that reach across an entire enterprise. It’s just that benefits such as improved efficiency, better management control and reduced exposures to audit compliance or disaster incidents are typically not line items you can find in a budget which complicates the business case. At the same time, a lot of effort is spent (probably too much) on researching product capabilities at the expense of understanding the true yeezy pas cher business value of the solution. Perhaps it is because document imaging has the potential to impact so many areas across an organization. The recommendations in this white paper can be applied to any significant project. You should always understand how things work before you go product shopping. You should always concentrate on what problems are being solved instead of what the technology can do. You should always prioritize the “must haves” over the “nice to haves”. And your initial project should always be small enough to be easily managed but significant enough to validate the benefits of the technology. Real Vision Software, Inc, with over twenty years experience in helping solve business problems, is here to assist companies with every phase of their yeezy pas cher content management / document imaging projects. Getting yourself organized will make your document imaging evaluation much easier. You don’t have to be an expert (or pay for one) to ask the questions suggested in this paper which will get you started down the right path. Our trained CDIA’s can help. Give us a call and let’s get started with your project! Tip 3: Content can’t be accessed until it’s Captured. As a result of your excellent planning efforts with the air max 270 femme users, you now know what type of documents are handled, where they came from, how long they are retained and who needs access to them. If you are really fortunate, the users also provided work volume estimates. If not, you can always make an educated guess by counting up the number of on-site file drawers and off-site storage boxes used. With any image system, there are two capture functions that must be performed - content must first be digitized and then indexed. Once your content is in digital form, users can search on index values for document retrievals (including viewing, printing, faxing or emailing). The air max 270 femme capture process can be centralized from one location or distributed to remote sites. Various degrees of automation can be implemented to help minimize the labor involved in the content capture process. √ Scanned content includes paperwork or other source documents that are converted from hardcopy to digital format using a scanner. Indexing can be a manual process or automated using barcode recognition, forms recognition or Optical Character Recognition (OCR) techniques. Value lists, drop down selections, programming calls and scan profiles are additional methods that can assist with the capture process. √ Imported content includes files already in digital format such as word processing, spreadsheets, PDF files, other PC output, digital photos or even audio-visual data. 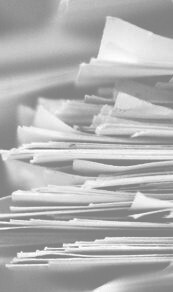 Large quantities of PDF files may have been accumulated using scanners or Multi-Function Devices (MFD’s). Sometimes this air max 270 femme content has already been digitized, but it may not be indexed or tied to an image software solution. √ Printed Output includes daily printing of reports, invoices, statements, listings and more. It might even be output from a forms product currently in use. Electronic distribution can automate the bursting / delivery process for users. Forms Overlay capability can reduce the air max 270 femme dependency and expense of using costly pre-printed forms. Search engines and exporting reports to spreadsheets can result in huge time savings for your users. You initial project may not require capturing all three content types, but your enterprise needs certainly will. This entry was posted in Informational on February 5, 2013 by debram.